Iveco will once again be featured on the racing jerseys of Sky Racing Team VR46 in the Moto3 World Championship in 2015. Moto3 is the junior category of the MotoGP World Championship, where the rising stars of motorcycle racing will be competing. The brand has reconfirmed its role as official supplier for the team, which was created in a collaboration between Sky, Europe’s leading entertainment company, and VR46, a company owned by international motorsports champion Valentino Rossi. The team will race on KTM motorbikes at the upcoming Moto3 World Championship, starting with the Grand Prix of Qatar in Doha on Sunday 29 March 2015. Like last year, Iveco is providing two striking black 500hp Stralis Hi-Way Euro VI 4×2 tractor units. As the flagship of the Iveco range, the Stralis Hi-Way stands out for its reliability, efficiency, quality, and customer value. The two vehicles being provided have been branded with the team’s colours, with one being used to transport materials and as a workshop, whilst the other is used for hospitality. The vehicles are kitted out with the latest technologies for driver comfort, including the Hi-Comfort seat. They also feature the latest on-board telematics, such as the Iveconnect system, which integrates infotainment, navigation, and driving-assistance services in one single device. They also feature Adaptive Cruise Control, which enables the speed chosen by the driver to be maintained at a constant level and alerts the driver when they come too close to the vehicle in front of them. 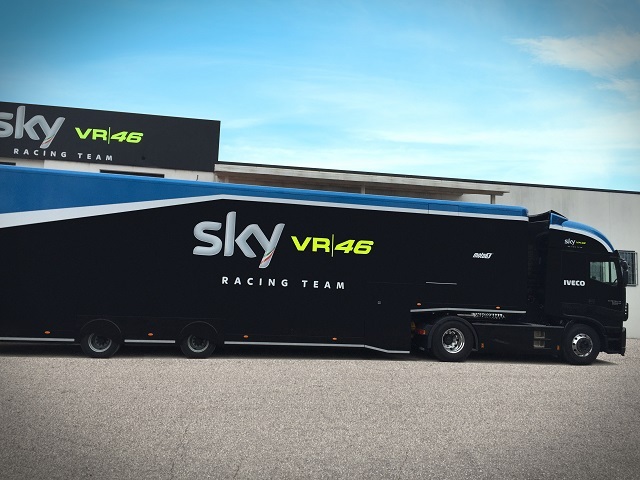 2015 marks the second season in a row that Iveco has supported Sky Racing Team VR46. The team’s two riders are Romano Fenati from Le Marche, Italy and Alessandro Migno from Emilia-Romagna, Italy. The Team Manager is Spaniard Pablo Nieto, born in 1980. 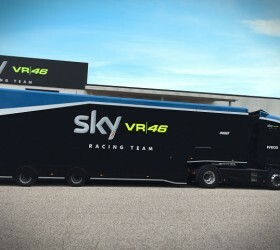 Iveco will be in attendance with the Sky Racing Team VR46 at all European stages of the championship. Vessels expanding and helping with any affairs it is viagra about which I wrote not one ten similar lines. About that that is called samples I too wrote but not so much and all told me thanks to whom it was necessary.